Nearly identical to the Lincoln MKZ Concept shown at the North American International Auto Show in January 2012, the production 2013 Lincoln MKZ embodies a design language that is subtly distinctive. "We call it elegant simplicity," said Max Wolff, Lincoln Design director. "We wanted the new MKZ to be inviting and approachable. We moved away from traditional luxury cues and complex designs. We came up with something warm that is rich, yet still intentionally restrained." A sweeping roofline defines the new luxury sedan's profile. The steeply raked windshield and lengthened backlight make for a sleeker and more flowing appearance that is 10 percent more aerodynamic than the model it replaces. "The MKZ shape is a vision completed with just a few strokes," said Wolff. Although strikingly modern, the design retains classic Lincoln design elements including a more refined interpretation of the split-wing grille, first seen on the 1938 Lincoln-Zephyr. Rearview mirrors stand on door-mounted, sculpted pedestals. This fitment enables the front door glass to extend farther forward to improve visibility and to allow even more light into the interior. The crafted headlamp assemblies include bright, energy-efficient LED lighting. The front headlights turn in sync with the steering wheel, providing enhanced visibility. At the rear, LED technology enabled a thin, distinctive full-width taillamp graphic. Design teams created an inviting interior featuring bold architectural elements, rich natural materials and fine details. "The exterior's front graphic is repeated in the dramatic sweep of the new instrument panel, helping tie the interior to the exterior in a harmonious manner. These flowing forms - along with the open center console - create a comfortable and functional interior that particularly appeals to younger, more diverse drivers we believe will now consider Lincoln," said Wolff. Innovation and technology abound inside the new MKZ. Replacing the traditional mechanical transmission shift lever is a contemporary five-button interface. The individual buttons of Push Button Shift engage Park, Neutral, Reverse, and forward gears in two modes, Drive and Sport. Push Button Shift gave designers freedom to create a sculptural multi-level center console with more functional storage areas. Positioned ahead of the driver, the full-color 10.1-inch LCD instrument cluster operates with the latest version of SYNC with MyLincoln Touch. The all-new design combines dimensional indicator rings framing a brilliant and reconfigurable Thin Film Transistor (TFT) LCD. An equally critical component of MyLincoln Touch is the nearly flush-mounted center 8-inch LCD touch screen that displays information clearly in easy-to-reference color-keyed quadrants. Premium-grade, supple leather covers all seating surfaces. Responsibly harvested wood and metal-toned surfaces create a luxurious and comfortable interior space. Standard luxury amenities include an 11-speaker audiophile entertainment system and cabin air filtration, plus heated front seats (with the driver's featuring 10-way power controls), remote start capabilities and Active Noise Control. To make the Lincoln MKZ exceptionally quiet, ANC electronically targets frequencies and reduces their intensity. To improve the refinement of the driving experience, other frequencies are subtly enhanced. The available THX® II Certified Car Audio System is a Lincoln-exclusive that features 700 watts, 14 channels and 14 speakers. THX audio engineers spent more than 200 hours custom tuning the THX-certified equipment to the new MKZ's interior. The result delivers home-theater surround sound to the road. The new Lincoln MKZ is the only sedan in its class to offer inflatable second-row outboard seat belts. Rear-seat passengers - often children or mature passengers - can be more vulnerable to head, chest and neck injuries. The available inflatable second-row, outboard seat belts spread impact forces across more than five times the area of conventional belts, reducing pressure on the chest while helping to control head and neck motion and helping reduce the risk of injuries. The new Lincoln MKZ offers the Lane Keeping System, a suite of advanced driving aids that helps drivers avoid drifting from their lane due to distraction or fatigue. Consisting of Lane Keeping Aid, Lane Keeping Alert and Driver Assist, the Lane Keeping System utilizes a mono-vision camera integrated into the rearview mirror to read the lane markers ahead. Available radar-based (ultrasonic) driving aids further enhance the driving experience. Adaptive Cruise Control and Collision Warning with Brake Support each use a long-range radar system that scans in front of the vehicle, automatically adjusting to traffic speed and providing a visual and audible alert when a potential front-end collision is detected. Active park assist and Blind Spot Information System (BLIS®) with cross-traffic alert use multiple short-range wide-angle radar sensors. Each function provides a distinct benefit, ranging from making parallel parking easier to warning of oncoming vehicles while backing out of a parking space. SYNC with MyLincoln Touch is standard in the new MKZ. The combined system makes it easier to use the entertainment, climate and available navigation features as well as devices brought into the car (e.g., phones, PDA, MP3 players). Twin five-way controls on the steering wheel manage essential systems, and many functions can be voice-activated via SYNC. Standard SYNC Services make turn-by-turn directions available via one button push and simple voice commands. Continually improving voice recognition software learns user voices, improving the efficiency of voice commands. 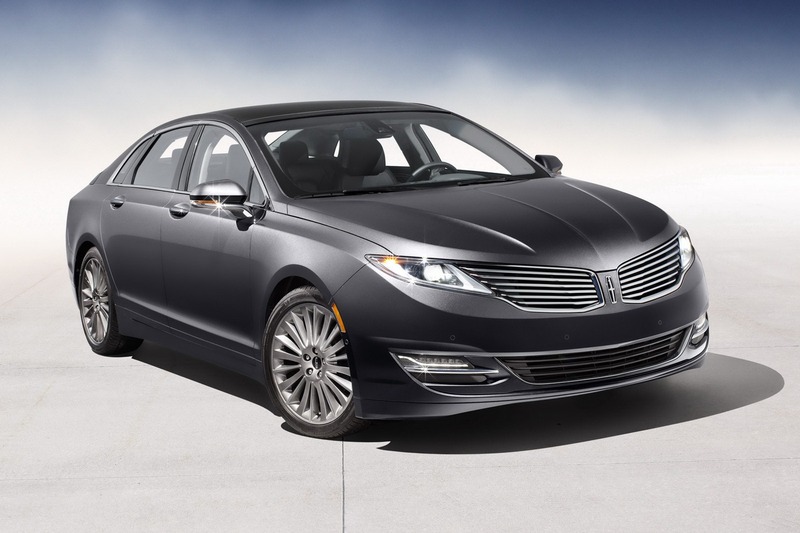 The new MKZ offers Lincoln Drive Control as standard. Lincoln Drive Control is an automatic system that delivers an ideal balance of a smooth ride with confident handling as it intuitively responds to driver commands and the road, making the 2013 model the most refined and engaging MKZ ever. 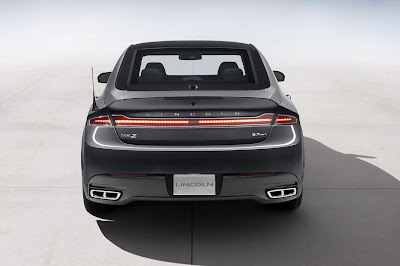 Always on, Lincoln Drive Control orchestrates the performance of the Continuously Controlled Damping (CCD) adjustable suspension, electric power-assisted steering (EPAS), engine, transmission, Active Noise Control (ANC), traction control and stability control systems. The result is an unsurpassed combination of refined ride and engaging driving dynamics. CCD offers three modes (Sport/Normal/Comfort) that are accessible using MyLincoln Touch. Selecting "Sport" on the Push Button Shift gear selector enables a decidedly more sporty driving experience. CCD contributes to Lincoln Drive Control's transparent action by monitoring the car's suspension settings up to 500 times per second. The real-time system adjusts the suspension up to 50 times per second to deliver more controlled handling with a smoother ride. CCD augments a highly developed chassis that includes a refined strut front suspension and an all new integral link rear suspension. The new Lincoln MKZ is the only sedan in its class to include Continuously Controlled Damping and Active Noise Control as standard equipment. 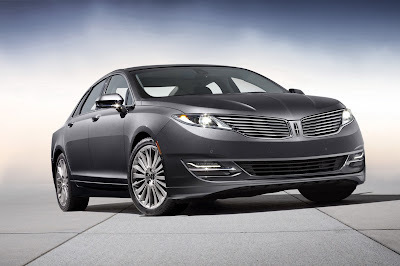 The 2013 Lincoln MKZ offers three distinct powertrains. The standard 2.0-liter four-cylinder EcoBoost® delivers the performance of a traditional V6 along with expected segment-leading fuel economy that is at least 3 mpg better than the closest competitor. This engine delivers a projected 20-percent increase in highway fuel economy versus the 2012 MKZ. Emphasizing performance and efficiency, the optional 3.7-liter V6 produces significantly more power (37 horsepower and 28 lb.-ft. of torque) than the previous Lincoln MKZ V6 while improving fuel economy approximately 5 percent. 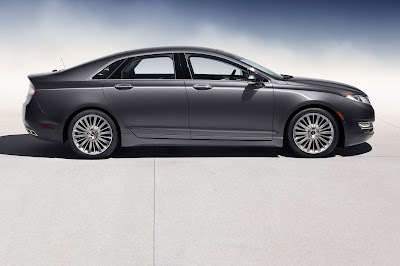 Maximizing fuel efficiency, the optional 2.0-liter four-cylinder hybrid powertrain is expected to enable the 2013 MKZ Hybrid to remain North America's most fuel-efficient premium sedan. The 2012 MKZ Hybrid is rated at 41 city mpg, 36 highway mpg. Non-hybrid models utilize a six-speed automatic transmission. Standard paddle shifters mounted behind the steering wheel add to the performance driving experience of the Lincoln MKZ. Improving grip on slippery roads, the available all-wheel-drive (AWD) system anticipates and adjusts the power delivery to the front and rear axles in as little as 16 milliseconds, faster than the blink of an eye. 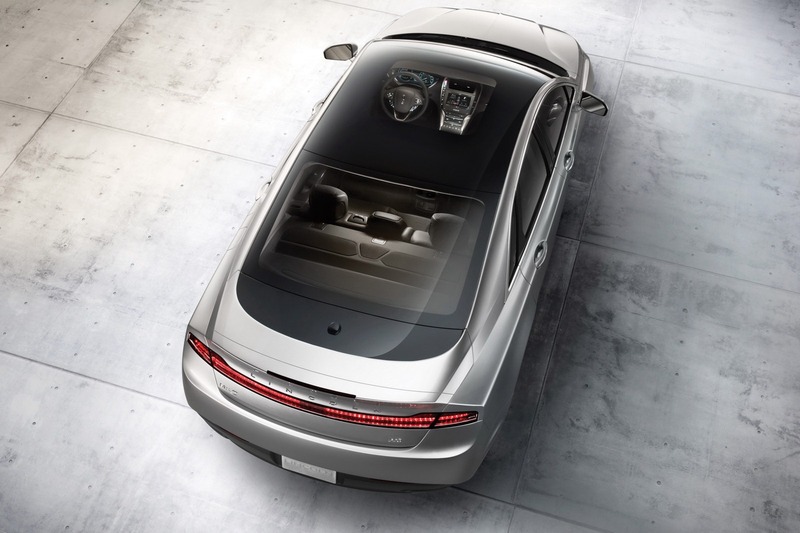 The Retractable Panoramic Roof is a new signature feature for Lincoln. The 15.2-square-foot glass panel offers one of the largest openings available on any current sedan. The design maintains the structural strength of a steel-roof vehicle.